In this book, history professor Richard Sonn argues that by the end of World War I, the conflict between anarchism and the state had been eclipsed by the competing forces of liberalism, fascism and communism. To combat their slide into irrelevance, French anarchists, especially those called individualists, redirected their attentions from violent revolution and general strikes to ethical issues that focused on personal liberation. Chief among these issues was sexual freedom, meant not only for the sake of pleasure but to undermine the authoritarian family, bulwark of the patriarchal state. 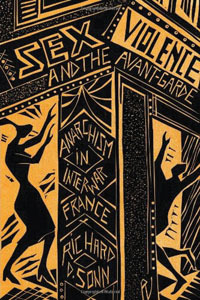 Sonn approaches the French anarchist movement during this period from a socio-cultural perspective, considering the relationship between anarchism and the artistic avant-garde, political violence and terrorism, sexuality and sexual politics, and gender roles. He shows that, anarchism in theory and practice played a significant role in the culture of interwar France.